We reserve frying for a rare treat – maybe once every few years. That’s not to say I don’t cook with butter and sauté a fair amount of our food in extra virgin olive oil, but frying – that’s a different story. I just try to avoid it or we’d be eating it all the time! The dough comes together very simply. Nothing complicated. 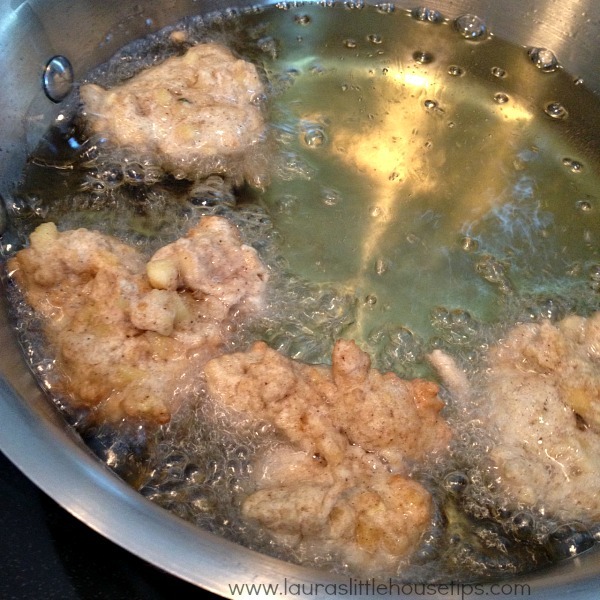 I’m not really experienced with frying but this recipe is very user-friendly. I will confess though… when I first made these I got a little greedy and dropped dough in amounts that were at least double what the recipe instructs. Learned my lesson well! The outside of the fritter got nice and dark brown but the insides weren’t cooked. I’m glad I checked instead of doing the whole recipe like that! This will absolutely be the best tasting mess you ever make in your kitchen. haha! Glaze is an easy clean up – Don’t sweat the small stuff. Just seeing this picture makes me sad all over again that this last batch is gone. So, there’s room enough for everyone’s cravings in our kitchen. And he certainly craves apple fritters. They were so delicious and how can you beat a treat made with love!!?? Store bought apple fritters have nothin’ on these plump little darlings. I’m thinking of some Italian Donuts next, but that would be another craving and another post. Apple Fritters? Oh yes Please! 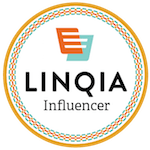 Littlehousetips rocks! Oh yum! I’m so scared of frying but those looks really good and I like the size of them. Use a small ice cream scoop and they come out perfect and you don’t have to worry about getting burned because you can actually put the scoop down into the oil to release so it doesn’t drop and splatter hot oil on you. I have actually never had a fritter before, but I have to tell you how amazing those look. I want about a dozen of them right now!! 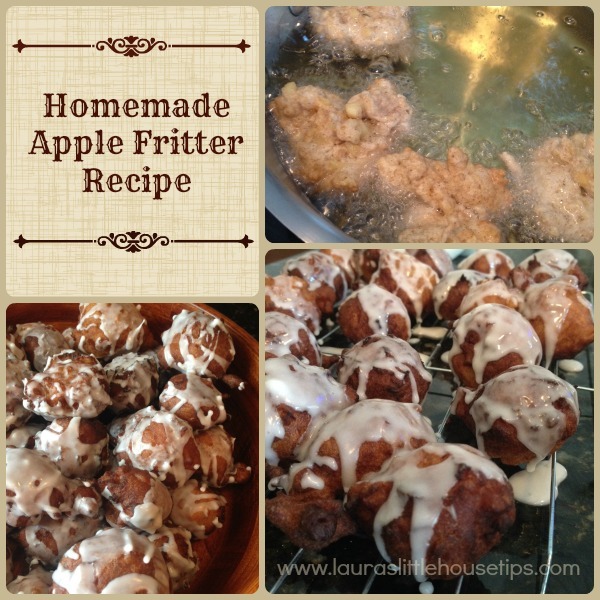 My husband loves apple fritters too, I have never tried making them at home though! These look yummy! Those are some delicious looking apple fritters! My husband loves apple fritters, but I rarely make them! Wow! I never fry at home… but I will have to give these a try! They look like the perfect size to have with some ice cream for a decadent dessert! HOLY MOLY! Can I place an order for 300 of these?! Wow, I can’t believe how yummy these photos look. I bet your kitchen smells like heaven! UGH!! I needed this post last week! 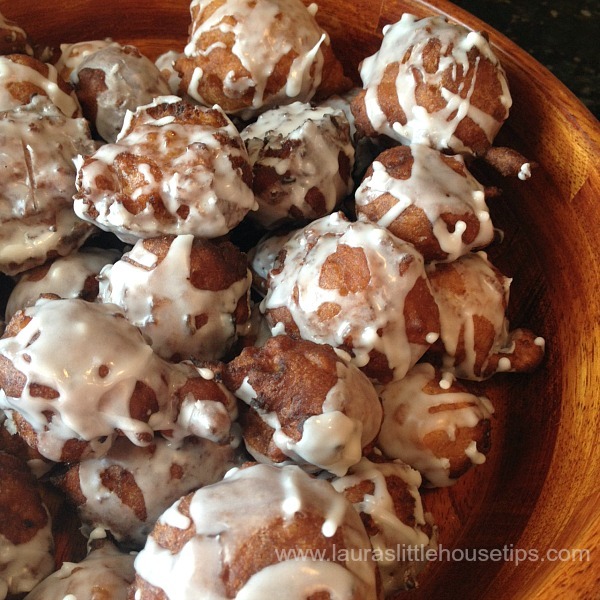 My husband loves apple fritters and this would have been so perfect for father’s day! bookmarking for his bday! I used to think nothing could beat homemade apple fritters, but now I see that I was wrong. 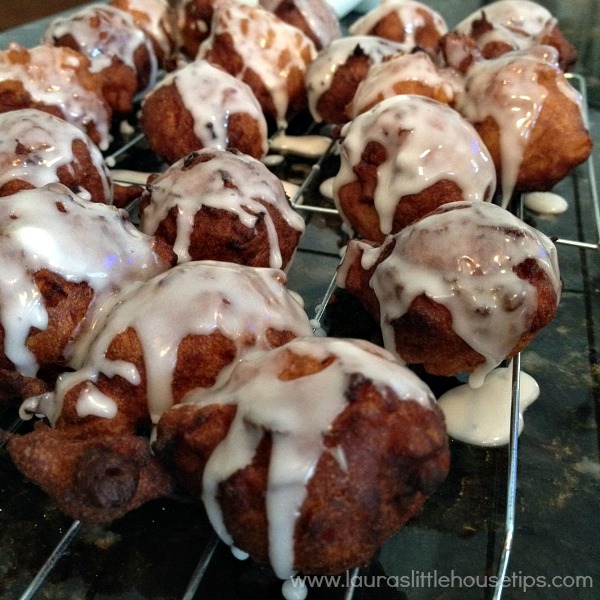 Homemade apple fritters with a delicious glaze definitely win! Oh man these look good, I love apple fritters! I have never tried to make my own before! This looks so yummy! I have never had an apple fritter before, but I will definitely try this! We live on an apple orchard, so it is embarassing that I haven’t tried apple fritters. I am so hungry for one now! They look awesome! Nancy Lustri (StyleDecor) recently posted…Travel in Style with Anatomie Apparel! My mouth is watering at the sight of these. They look delectable! 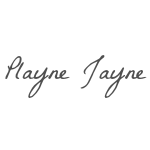 Liz Mays recently posted…Get Yourself Some Moonshine BBQ! Those look so delicious. and like a delicious treat!! tammileetips recently posted…Cruising Glacier Bay on a cruise ship, amazing and cold! These looks so tasty. Those wouldn’t make it at day in my kitchen. Those look delicious. I wonder if I could make these baked? o my goodness these look better then the ones at the fair! YUM! I get apple fritters a lot when we go out to the fast food places, but I’ve never made them at home. This makes me want to try! 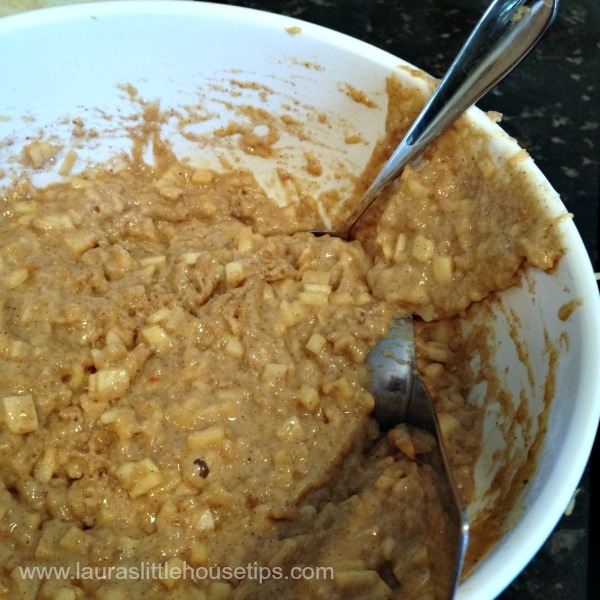 Mindy Grant recently posted…Spicy Apricot Spread – A Cool and Creamy Summer Treat! Oh yes, this is my kind of dessert! Though I’ve never tried making them myself, I need to try this recipe! Tammi @ My Organized Chaos recently posted…Dreamy Dress-Up Accessories from RockPretty! Is it just me…or is there no actual recipe in this post? Is it somewhere else and I just can’t see it? I would LOVE to make these!! Hi Tami. Sorry about that we had a little glitch this morning but all fixed and the recipe is now showing 🙂 Enjoy! Hooray! thanks so much 🙂 I am so excited to try this! I think I might try raspberry as well yum! We would love to hear how you liked them Tami 🙂 Enjoy! Yum! These look amazing. My entire family would probably love them! I love anything with apple in it. These look amazing! And I know my kids will love them! There was a place on Martha’s Vineyard that sold apple fritters that everyone in our family adored. We haven’t had them since. I need to try this! If you have a moment, I would love it if you would link it up with us at Foodie Fridays! WOW! Those look sinfully delicious! Just like the doughboys here in New England! YUM! These looks delicious, have never made fritters before but think all the family would love them, can’t wait to try your recipe! My family would love me so much if I made these for them! Thank you so much for sharing them with us at #FoodieFriDIY! I really cannot wait to try these! What a perfect fall treat! As always, it’s nice to be co-hosting this week’s #HomeMattersParty with you! else may anybody get that kind of information in such an ideal approach of writing? 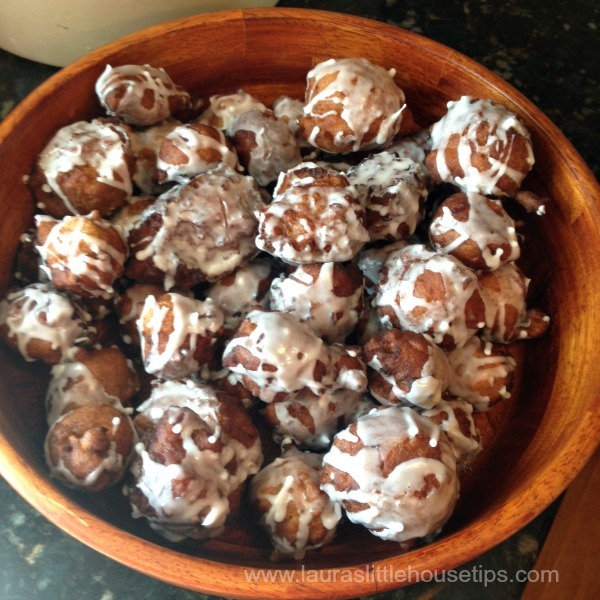 I’m diabetic and I love Apple Fritters when I found this recipe I changed the sugar to splenda and went very light on the glaze. They turned out great in fact I’m going to try raspberry.